The discovery of Uranus in 1781 with the use of a telescope was a stunning breakthrough for astronomers. 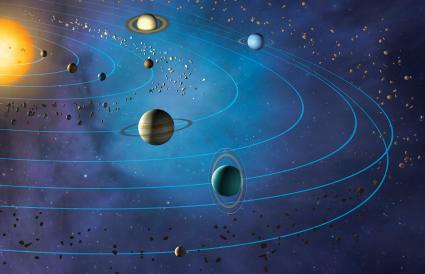 Prior to the discovery of Uranus, Saturn represented the visual boundary as the most distant planet. With the discovery of Uranus astrologers stepped beyond the boundaries of Saturn and into the magical, metaphysical world. Uranus is the seventh planet for the Sun, the first planet to be discovered since ancient time, and the wackiest planet in the solar system. Its name is derived from the Greek god of the sky, Ouranos. It's unique in that it has a skewed orientation. It rotates on its side and in the opposite direction of all the other planets (except Venus), it has faint rings, is blue, and has an odd strobe-like magnetic field. Uranus is the modern ruler of Aquarius and the natural ruler of the 11th house of the zodiac. Its glyph or symbol (♅) includes an inverted Venus glyph and the two semi-circles on the sides represent receptivity. It is associated with genius and individuality as well as new and unconventional ideas. Uranus creates chaos and brings sudden and unexpected change. It rules electricity, inventions, the internet, and astrology as well as revolutionary events that upset the established status-quo. It governs societies, clubs, and any group dedicated to humanitarian or progressive ideals. Uranus is the planet the sparks the radical thinking that advances the world. Astrologically, Uranus, Neptune, and Pluto are Transpersonal Planets that take you into a metaphysical realm that is beyond what you can perceive with your five human senses. Uranus connects you with the higher mind. Uranus is not a personality structure like the Sun, Moon, Mercury, Venus, and Mars), but its contacts with your personal planets will make the way they are expressed a bit quirky, original, offbeat, or even radical. Uranus takes about 84 years to circle the entire zodiac. It spends approximately seven years passing through each zodiacal sign. Due to its slow movement, the sign placement of Uranus is shared with all individuals of the same generation. For example, individuals born in the late 1980s and early 90s could have any variety of Sun and Moon signs etc., but they all share Uranus in Capricorn. This bonds them together as a generation that wants to revolutionize and radically change (Uranus) established structures, including governments (Capricorn). On a more personal level, the house Uranus occupies and the aspects it makes to all the planets and points in your birth chart, both natal and by transit, are what astrologers usually consider and interpret. You can find the astrological sign placement and house placement of your Uranus with the free natal chart generator on Astro Seek. Entire generations are activists for change related to the sign Uranus occupies but in different areas of life (houses) and different ways (aspects). 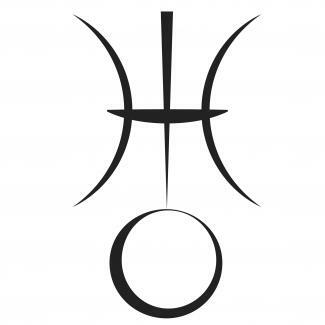 Where is revealed by the house Uranus occupies in your birth chart. This house is the area of life in which you break from tradition and need the freedom to be and to do things in your own whacky or eccentric way. At its best Uranus in your birth chart is where you're ingenious, original and comfortable expressing your eccentricities. Johnny Depp has Uranus in the first house, the house of the self. Depp is an original who takes on whacky and unconventional characters in his films and he's seen to be just as eccentric looking off stage. Oprah Winfrey has Uranus in the seventh house, the house of marriage. Oprah and her partner have been together for over 30 years, live separate and independent lives, and have never married. As Uranus moves through each sign, it shapes generational thought. If you have other planets in the sign of your Uranus, planets in the 11th house of your chart, or planets in Aquarius you will resonate more strongly with your generations Uranian calling. Note: The dates below are approximate, your birth chart will tell more accurately the astrological sign of your Uranus. Those born during these years will grow up to become activist and fighters who are concerned with personal rights and freedoms. Those born during these years will have radical ideas about communication and invent new and revolutionary methods of communicating. Those born during these years will have unique thoughts about family structures and bring about changes in what is considered the "traditional family." Those born during these years will find individualistic ways of expressing themselves and making their mark on the world. Those born during these years will develop new and more innovative ways of processing data and will be advocates for healthy living. Those born during this period will become civil rights activists and visionaries who see all races, cultures and belief systems as equal. Those born during this period will make sweeping changes in medical, psychological, and sexual matters as well as what defines life and death. Those born during this period will be advocates for changes in traditional methods of education and will promote making education fun by allowing students the freedom to study what interests them. Those born during these years will become political activists who impede, promote and raise awareness with the intention of creating new governmental and corporate structures. Those born during these years will become activists for humanity, who envision a future when all the people of the world will be united in a peace-loving brotherhood. Those born during these years will become spiritual reformers who promote the growth of spiritual living and various forms of holistic healing of mind, body, and soul. Uranus is about one-night-stands, short-lived affairs and fickle changes of heart. 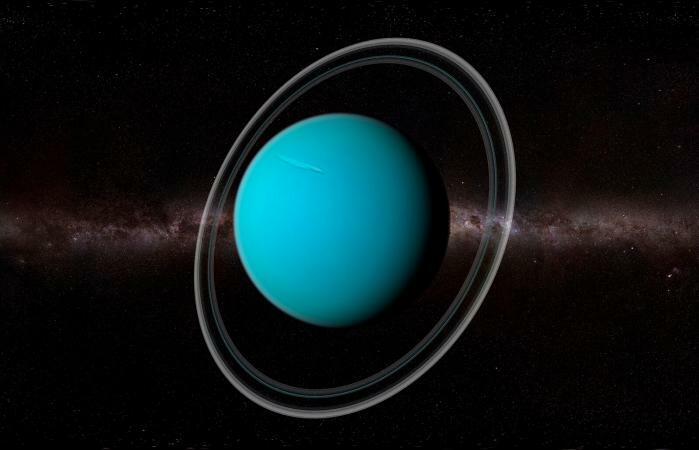 The rule of thumb is, if you're looking for something stable and permanent, Uranus is not necessarily a lasting kind of connection. Uranus could indicate love at first sight and a relationship that will end just as quickly as it began. Uranus can electrify a love affair, make it exciting and mind-blowing, or blow it apart. Of course, there are some nontraditional individuals who can make these relationships work long term. In astrological forecasting, astrologers look at the geometric angles (called aspects) that orbiting (transiting) Uranus forms to other planets and points in your birth chart. When Uranus triggers something, you can either change or be changed. Transiting Uranus is your urge for increased aliveness, excitement, change, and freedom from predictability. If you're suddenly experiencing insomnia and restlessness, or craving freedom, excitement and a need to escape from all that's familiar, or if your life seems to be suddenly crashing down around you, chances are you're having a Uranus transit. Uranus disrupts your life and dismantles the status-quo. The more rigid the restrictions in your life, the more erratic, tense and even violent Uranus' transits can be. Unfortunately, Uranus transits are not quick, they are a process that can change your life forever. Which means you would benefit from a consult with a professional astrologer who can tell you what you're dealing with when it might end, and what the fall out could be. Henry David Thoreau said "If a man loses pace with his companions, perhaps it is because he hears a different drummer. Let him step to the music which he hears, however, measured, or far away." Uranus is the "different drummer" that reminds you that you are a unique being who can and should march to the beat of your own drum.